please click Favorites (see Image-2 Arrow-1) and select the saved search e.g. "Windows" (see Image-2 Arrow-2). 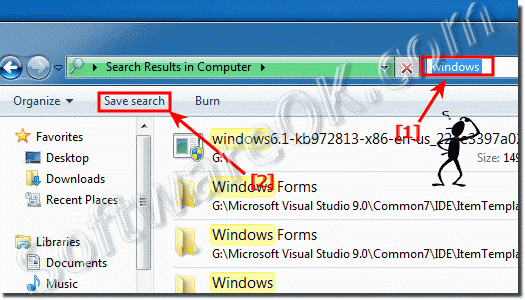 Windows-7 - FAQ-60: How to save and open searches in Windows 7 ?